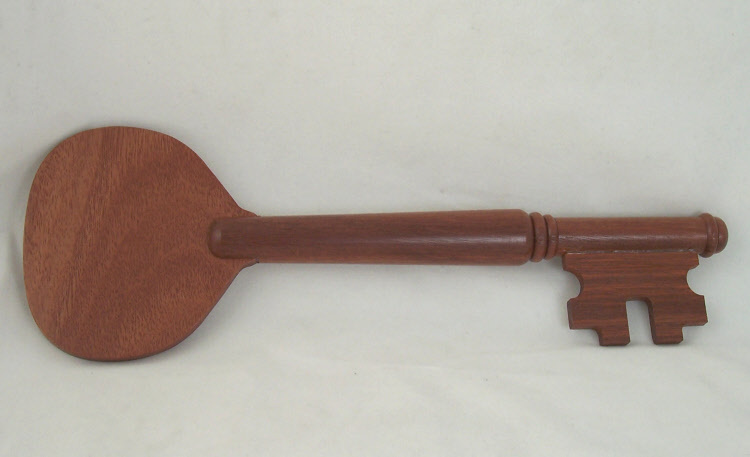 These keys are made in Australia from Western Australian Jarrah timber and finished in satin laquer to bring out the natural colour of the timber. These large timber keys are styled on a old fashioned design and look great! Ideal for official ceremonies, or for a special birthday celebration. 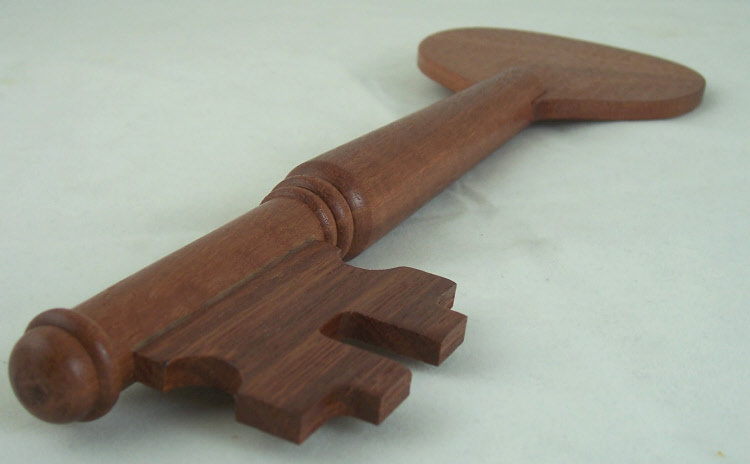 Prices starting from $99.00 for a bare key. 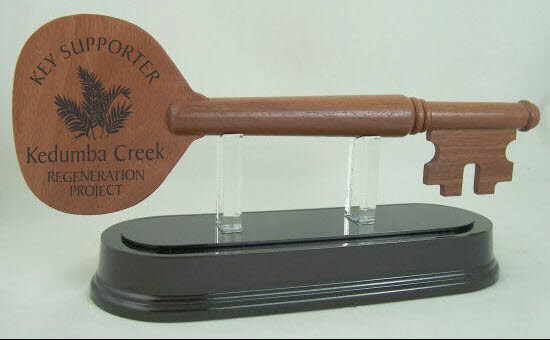 * We can laser engrave a message on the end of the key. * Optional display stand also available. Please contact us to order this product, including details of which options you require. Please Note: As these keys are a natural timber product there may be slight colour and grain variations to the samples shown in these photos.